My name is Zo! 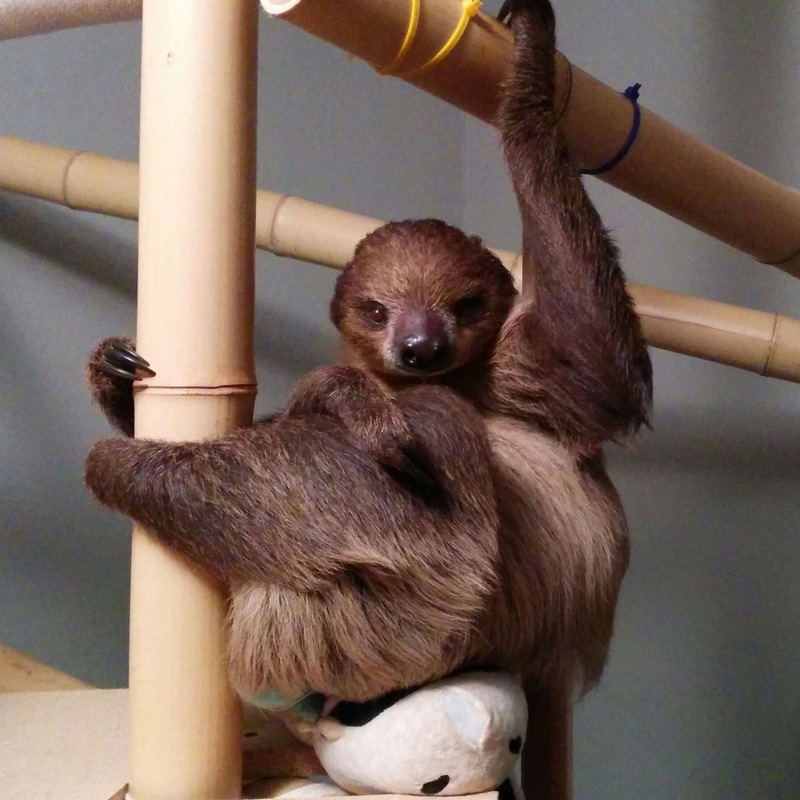 I’m an almost nine-month old two-toed sloth with a love for adventure. I knew early on that a homebody’s life was not for me. That’s why Drybones and I packed our bags and crawled off of Mom’s tummy and into the big world. Since I’m just starting out, I have some roommates, but I think they’re pretty cool people. They even helped me set up this awesome site! Like most sloths, I love to party all night and sleep all day, but still I do my best to stay awake for my five-fingered friends. If you stop by and I'm asleep, don't take it personally. Just rewind my stream to get in on last night’s jungle gymnastics! One thing that sets me apart from my Choloepus cousins is the fact that I love making new friends! If you want to keep in touch, add me on my Zocial media to get a Tweet every time I update my blog or post a new photo. I can’t wait to hang out with all of you!